Arborean arrives with his first release, a groove-driven journey through downtempo psychedelia peppered with bright haunting melodies, dark soundscapes, and dance-orientated rhythms. Mixing diverse influences from across the world, Arborean brings together a rollercoaster of heavy beats, broad soundscapes, and searing lead synths in this dramatic and intense release. 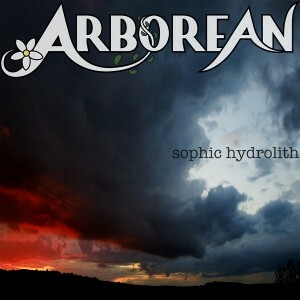 Arborean is based in Brighton, U.K. Cover photography and artwork by Fabian Eason. MP3 Download | FLAC Download | WAV Download · Download count: 9,383. One of those 5 100% votes is mine. Excellent EP. YES, YES and YES !!! pop melodies of 3 notes… but great work! Very nice music . . complex and detailed, I catch something different each time I listen to it . .
Nice…. kinda dark, melodic, chilled, and edgy. very psy. I likes. This is a very nice release ! Multi layered tracks and nice little details. Top notch production quality. Freakin wiiild and wickeeeeed! Loved this sound! Want more! Such good trippy stuff in here! Thanks! Arborean we need more, it’s all bloody amazing!